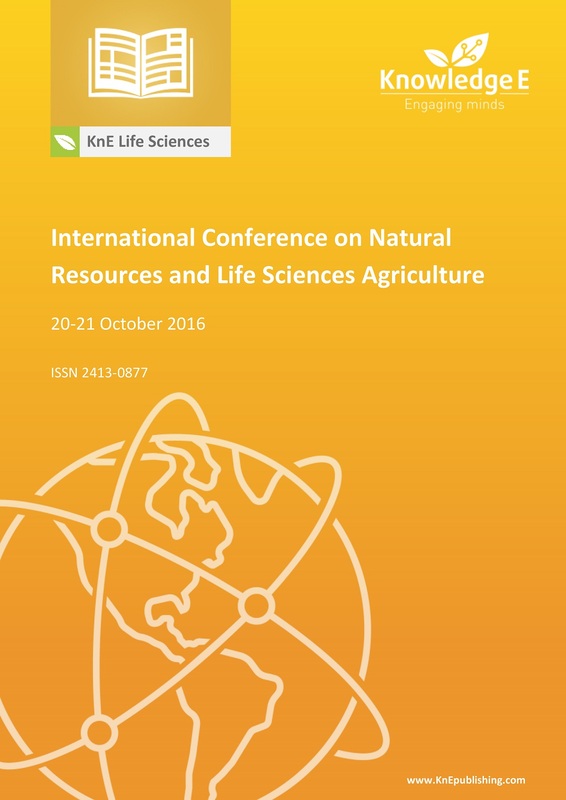 The 1st International Conference on Natural Resources and Life Sciences – NRLS 2016 – was organized by the Faculty of Biotechnology, University of Surabaya, Indonesia. The theme of this conference is set on the theme of 'Multidisciplinary Science for Better Achievement'. The conference facilitated the exchange of useful information on life sciences and natural resources' exploration practices for the future human needs. Over 120 researchers participated in the conference from countries and regions such as Germany, Netherland, Nepal, Korea, Thailand, Malaysia, and Indonesia. From over 113 abstracts and presentations, 22 papers are selected to be published in KnE Conference Proceeding, representing the themes of 2016, that is, Food Biotechnology, Plant Biotechnology, Medical Biotechnology & Forensics, and Environmental Biotechnology & Renewable Energy. All 22 manuscripts in KnE Life Sciences, vol. 2017, have been reviewed by the experts from University of Groningen, University of Potsdam, RWTH Aachen University, Kyung Hee University, Universiti Selangor, and University of Surabaya, Indonesia. The reviewing process at KnE involves experts having professional editing background from four countries (Indonesia, Latvia, Malaysia, and Sweden). Indexing: NRLS Conference Proceedings are indexed in Web of Science (by Clarivate Analytics, formerly Thomson Reuters, and ISI) as of 29 December 2017. Two Antibacterial Compounds: Velutin and 4- (Hydroxy (Oxiran-2-yl)Methyl)-2-Methoxyphenol from the Stem Bark of Drimys arfakensis Gibbs. Drying Kinetics of Curcuma xanthorrhiza Roxb. Superoxide Dismutase Levels of Operator Gas Stations in Semarang, Central Java, Indonesia.